Project Freelancer was the main driving force of the Red vs Blue show for a number of series. It provided a unique and awesome storyline that could match any mainstream TV show in the world. With such brilliant writing comes a ton of facts and trivia, the project was so interesting that a list has to be done on it. Here’s the top 10 facts about Project Freelancer! Project Freelancer was created with the aim of producing super soldiers, the war with the Covenant was devastating for humans as they fell in their millions. New soldiers would need to be produced, soldiers that could fight with the strength of a 100 men. In comes Project Freelancer who was given considerable funding to create such soldiers. This mysterious soft-voiced figure was a key member of Project Freelancer. Now known as Aiden Price, he was the right hand man of the Director. He also provided psychoanalysis to the Project Freelancer members, which was well needed as staff would regularly perform mentally difficult tasks. He disappeared after Project Freelancer fell, only to be discovered as a prisoner on a UNSC ship. He would then help Felix and Locus with their plan for Chorus, before being killed in the Purge. The big boss of Project Freelancer, the Director was in charge of the entire group, making the difficult decisions and ruling with purpose. In fact, the Director had a different motive from the original aspiration of Project Freelancer, he longed to see his deceased wife Alison once again. His choices brought about the fate of many and gave us a exceedingly strong storyline. To meet the purpose of Project Freelancer, The Director, real name Dr Leonard Church, took his memories and constructed an AI out of them, called the Alpha. He then tortured this Alpha AI, forcing it to ‘let go’ of memories and emotions. These fragments would be used to create separate AI, each one having different personalities and abilities. The Freelancer agents were the result of Project Freelancer’s success. They were the super soldiers that the Project set out to create, hand-picked soldiers with different abilities in different fields. Of these agents were CT (Connecticut), Carolina, Florida (Captain Flowers), Georgia, Idaho, Iowa, Maine, York, North Dakota, South Dakota, Texas, Ohio, Utah, Washington and Wyoming. As you can see, there was quite a few! 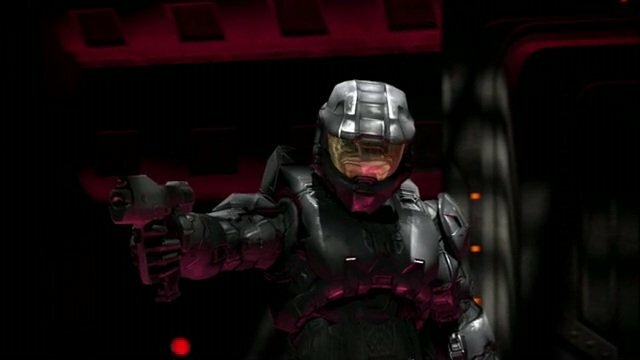 These soldiers were similar to Spartans in the Halo universe, they had strong armor, lightning reflexes, great speed, strength and jump height. They were the perfect soldiers. The Reds and Blue, these are the ‘soldiers’ that were used for training in Project Freelancer. They would take army recruits who performed terribly in their examinations and physical tests, then convince them they were being assigned to a certain color army. Little did these troopers know that they were just experiments, training fields for Freelancer agents to use as they wish. The main protagonists in Red vs Blue are not the only Reds/Blues, in fact there are a hefty amount of these troopers stationed on many planets. All of the agents were powerful in their own right, we see a scoreboard in the Freelancer chronicles that is constantly updated. Agent Carolina was by far the best of all the freelancers for some time, that was until Agent Texas was created. The two would form a powerful rivalry, with Carolina not happy that Texas was simply better than her. The reasoning behind creating the AI was quite justified, just the method was pretty horrific. Each soldier had powerful suits that could expand their skills massively, some of the suits contained powerful equipment such as Invisibility and Energy Shield Domes. However, this type of equipment is not used easily, the AI were created to run this equipment effectively, without them failing or even killing the person in the suit. The primary objective of Project Freelancer was to produce super soldiers but to do this, they needed resources. The Insurrection (UNSC troops hired by Charon industries) had these resources, so Project Freelancer agents led a variety of missions to obtain such resources. These agents thought they were fighting the good fight while in fact, they were killing innocents and stealing. Agent CT found this out and defected to the Insurrection, causing a downward spiral of events. Freelancer was rightfully devastated during its end. Agent Maine, now known as the Meta, was warped and twisted by his AI to obtain the rest of the fragments, with the aim of becoming the Alpha. He set out on a mission to find the fragments and kill everything that stood in his way. The Chairman of the UNSC caught wind of this, he launched an investigation and found out the truth about Project Freelancer. The project is then terminated with the Meta still rogue, before all of the AI (except Epsilon) were wiped out in an EMP blast. Carolina and Epsilon track down the Director to find an old, sad man. After a quick chat, they leave him be as he commits suicide.